Cordyceps Chickens are reared in a temperature-controlled and hygienic environment without the use of antibiotics and growth hormones. being fed with lactobacillus, their immune systems are naturally boosted. To further benefit our consumers, cordycepin are introduced into the chicken’s diet. Cordycepin are commonly used as a natural health replenishment which strengthens the lungs and fortifies the kidneys allowing this premium chicken to be suitable for all ages. 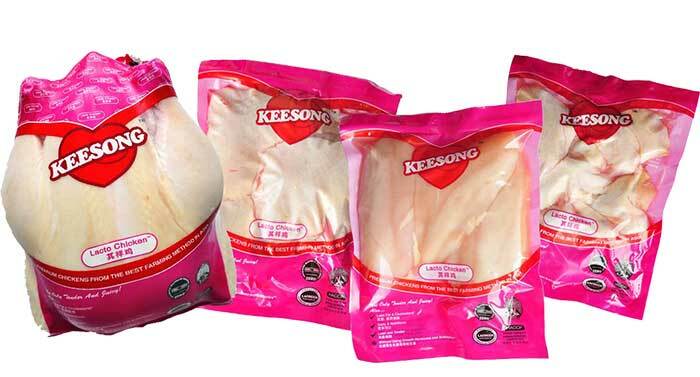 Kee Song CaroGold Chicken is another signature product under our premium range. CaroGold chickens are reared in a clean and controlled eco-friendly environment and without growth hormones, antibiotics. 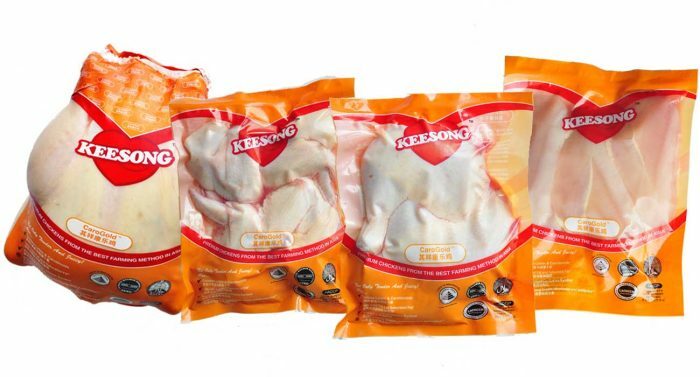 This chickens are fed with a carefully formulated diet containing lactobacillus, natural caroteniods and lutein. The caroteniods give our chickens a unique golden tinge with firmer meat – Perfect for the health conscious.